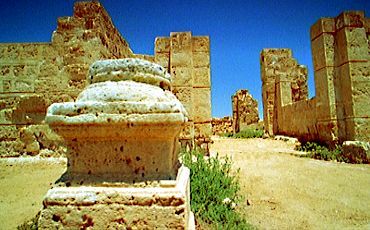 Abu Mena is one of the oldest Christian sites in Egypt (4th to 7th century A.D.). The church, baptistery, basilicas, public buildings, streets, monasteries, houses and workshops in this early Christian holy city of Abu Mena were built over the tomb of the martyr Menas of Alexandria. A water well in the desert came up from that spot. These water wells made the area full of vines and olive trees. It was an oasis called Saint Menas Vineyards. Today, only ruins and the desert are the witness of once a beautiful oasis.